We will take you for a day trip along Normandy coasts to discover the main sites of Normandy landing beaches of June 1944 (Pointe du Hoc, Omaha Beach) and on the afternoon to the charming city of Bayeux. 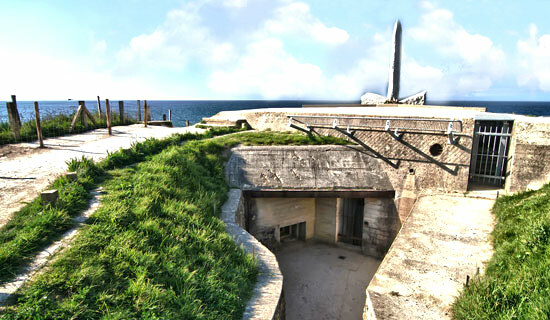 You will start your excursion with the Pointe du Hoc where took place the famous American landing operations. Located on Utah Beach and Omaha Beach, the Pointe du Hoc was fortified by german troops, this is why american rangers decided to take control of this strategic place. Then, you will go to Omaha Beach, Normandy landing beach which caused important human losses. 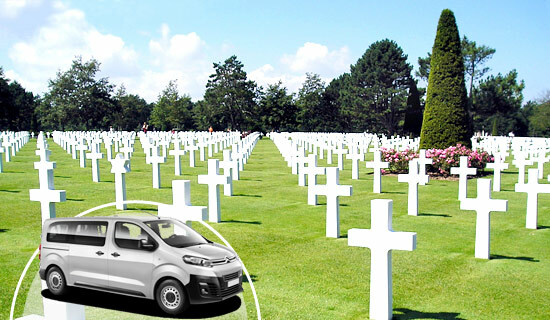 You will also visit the famous American Cemetery, a wide necropolis which overlooks the beach, and the brand new visitor centre. It is a place of memory where personal stories, photos, movies, interactive presentations and objects from that period are collected. We will then go to the city of Arromanches, famous for being one of the historical places of the Normandy landing, in particular for the artificial harbour which was installed there. The city of Arromanches offers many restaurants which will enable you to have lunch at your own pace and according to your needs. 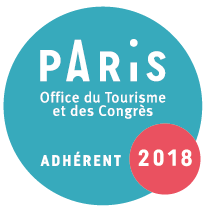 If you wish, we can also book for you, as an option, the France Tourisme menu in a restaurant at the Hotel de Normandie. After the lunch break, we will go to Bayeux. 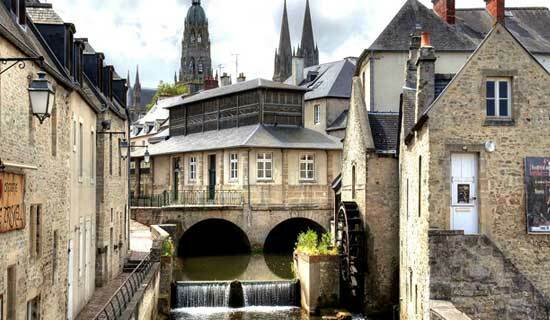 The afternoon will be dedicated to the city of Bayeux, a charming city that holds many treasures, such as its famous tapestry, wonderful heritage of the Middle Ages, the old Bayeux and its majestic and huge cathedral. Bayeux is located near the landing beaches of Normandy. Its was the first city in France to be released and to keep a rich architectural and cultural heritage at the conclusion of the Battle of Normandy. Cathedral : it is an amazing monument of the city not to be missed. British Cemetery : it is the biggest british cemetery in France following the Second World War.